Teresa Zamboni is one of the nation's top 50 LPGA teaching professionals and Golf Digest 50 Best Women Teachers in America. A resident of Port Orange, FL, Zamboni teaches at Crane Lakes Golf & Country Club in Port Orange, FL. 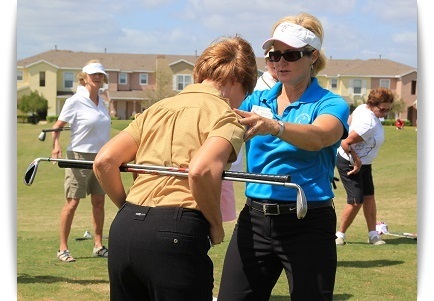 She joined the LPGA Teaching & Club Professionals (T&CP) in 1994 and in 2007 she achieved the LPGA's highest honor when she was selected as the LPGA National Teacher of the Year, which recognizes the top teacher in the nation. Zamboni is a certified Titleist Performance Institute (TPI) instructor. A passionate tournament player, Zamboni has participated in more than 60 LPGA T&CP-sanctioned tournaments throughout the United States. She also participated on the FUTURES Golf Tour from 1998 to 2001.